The most astonishing synchronicity happened to me a few weeks ago. Even the most skeptical of friends opened their eyes wide when I shared this with them. Eckhart Tolle teaches that certain moments—seeing a beautiful sunrise, or an exquisite flower, for example—have the power to pull us, for a few fleeting seconds, out of the “machinery” of thoughts that is the ego mind. I like to think that this story offers a similar jolt of wonderment that returns us, albeit temporarily, to the mystery that’s at the heart of being. Enchanted, I turned over the package to read the address label. Sure enough, I’d opened something that was intended for someone else. It was easy to understand the mix-up: the recipient was also called Karina, spelt just as I spell it. 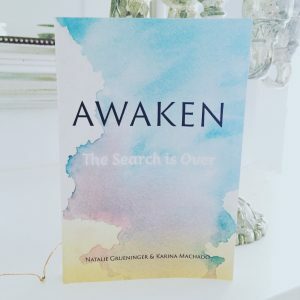 She works in my building and has a surname that begins with M.
An hour later, I returned from a meeting to find an excited text from my sister (Natalie, together we’ve co-authored AWAKEN, a book of spiritual insights): “Call me! 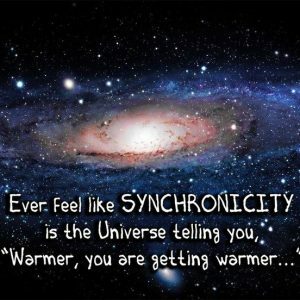 Amazing synchronicity!! !” Feeling a bit fizzy in the belly, I picked up the phone. I could tell immediately from the pitch of her voice that something special had happened. 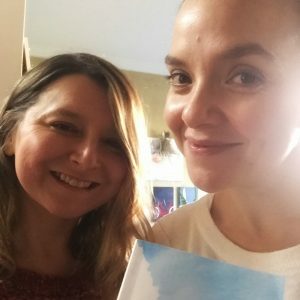 She explained that she’d organised a giveaway of AWAKEN through an Instagram account, The Daily Guru, that has over 14,000 followers internationally. The administrator had just notified her of the winner. “Guess who won it,” she said. “Just guess!” For a second, there was silence. I had no idea. I offered a few lame suggestions, knowing they wouldn’t be right. I should also mention that prior to this, I’d never heard of the other Karina. Within a few minutes, that had all changed. I emailed her and soon delivered into her hands the necklace and her prize of AWAKEN. We keep in touch now, appreciating the strange sequence of events that brought us together and understanding that, one day, we may come to understand why we were destined to meet. Karina won one of these! But I’ll never understand the machinations that made it happen. What I felt on that Monday morning took me back to being a little kid burning with curiosity about spirits and mysteries—the unfathomable secrets of the invisible world—and the welcome sense of delightful surprises awaiting, never anything scary. It’s a powerful natural high. There’s a subtle pause before the brain begins to process a situation where the magical universe reasserts its dominion over the world of time and matter we dwell in. That’s what I remember most about that miraculous Monday, when a what-are-the-chances moment delivered a precious gift of wonder into my hands. Earlier this year I read a wonderful book called One Mind by Larry Dossey M.D. The book’s subtitle is “How our individual mind is part of a greater consciousness and why it matters.” One of the stories Dossey includes to support his premise had me in tears … have you ever heard of the shipment of lipsticks delivered—origin unknown—to Bergen-Belsen concentration camp shortly after its liberation in 1945? Tragic legacy: Bergen-Belsen in northern Germany. In April of that year, British troops liberated the camp. 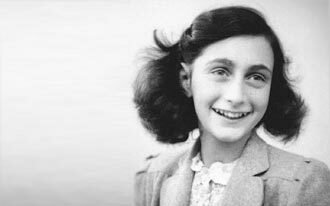 The horrors they witnessed are beyond comprehension: 40,000 prisoners in 200 huts and 10,000 bodies (including, somewhere, the gifted young diarist, Anne Frank). The hardened troops, as Dossey recounts, “cried like babies” but got to work. By the end of the month, food had arrived and survivors were receiving treatment. This moving story not only illustrates the “kind of breakthrough that can occur when minds unite in the Great Connect,” as Dossey writes in One Mind, but it also reminds us of how a small “luxury” like lippie can help lift the spirits of a woman in need. Charities including The Beauty Bank understand this, and put together gift bags of toiletries for people escaping situations of domestic violence. 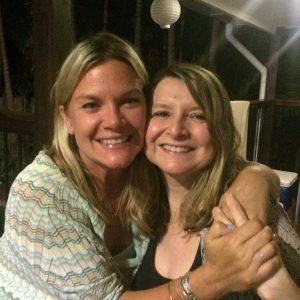 As Nat and I plan events and workshops tying in with the launch of Awaken and our Awaken Sisterhood initiative, we’re resolved to support this life-changing local charity in any way we can. Wishing you a beautiful weekend. 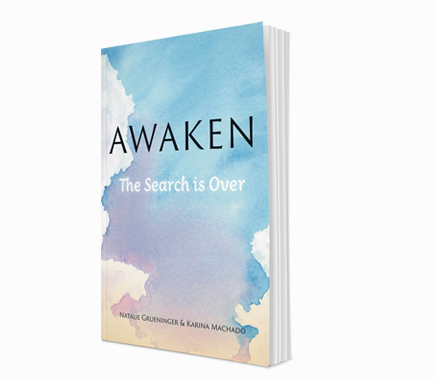 Our new book, Awaken: The Search is Over. 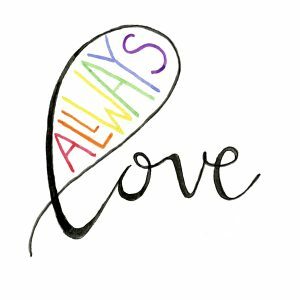 The final chapter in my last book, Love Never Dies, is called “The Path Winds and I Follow,” which describes both the trajectory of my daily walk around my neighbourhood—with its hills and curvy footpaths—and the trajectory of my spiritual life. I am not sure if we could have imagined then, that some three years later, Natalie and I would be publishing an inspirational book of our own. It’s called AWAKEN: The Search is over, and it’s full of insights that we’ve gleaned during the last few eventful, eye-opening, heart-expanding years of finding our way back to our true selves—of heeding the call of the soul. A proof copy of Awaken, hot off the presses! 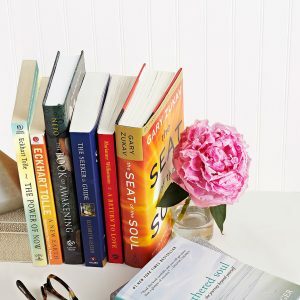 I find it extraordinary because, even though, ostensibly, it was reading Oprah’s list of soulful books that eventually birthed AWAKEN, if I travel far, far back into my memory, I know this is a path I’ve been on since I was a child. 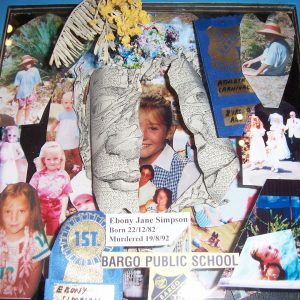 As a little girl listening, entranced, to my mum’s stories of premonitions about the deaths of loved ones, I was on the path. As a child fascinated by spooks and mysteries, I was on the path. As a schoolkid who yearned to connect with something vast and all-encompassing that I felt lay beyond our world of the senses, I was on the path. 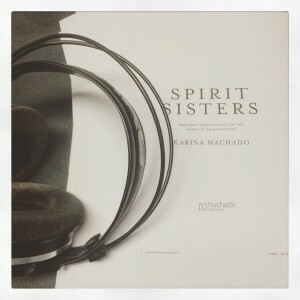 As the first-time author who published Spirit Sisters, a collection of women’s experiences of the paranormal, I was on the path. As the magazine journalist who had the chance to interview Deepak Chopra and see Wayne Dyer on stage a week before his passing, I was on the path. My first book, published in 2009. 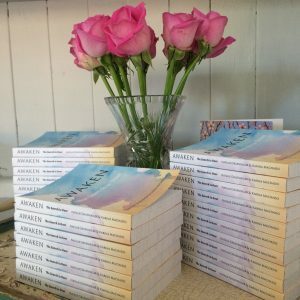 And so it continues, and I am happy to surrender to the Divine Intelligence steering the ship—AWAKEN, the first book Natalie and I have co-authored, represents the manifestation of our joint decision to allow this Divine Intelligence to flow through us, unhindered. Many of the insights it contains arrived via Nat’s meditations, from a realm beyond the three-dimensional plane of our everyday lives. We call it a little book that creates big changes, and our ardent hope is that it helps put you on your own path back to your soul. With my sister and co-author, Natalie. 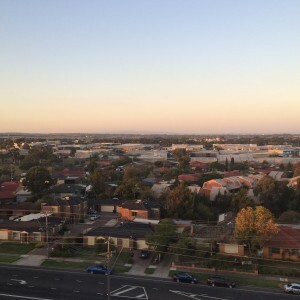 I am sitting in my hotel room in Melbourne, where, outside my 8th-floor window, the light is just beginning to soften, turning gently golden, before twilight falls. The oval across the road is silent now, though seconds ago it was busy with the jagged shouts and cheers of an AFL match. 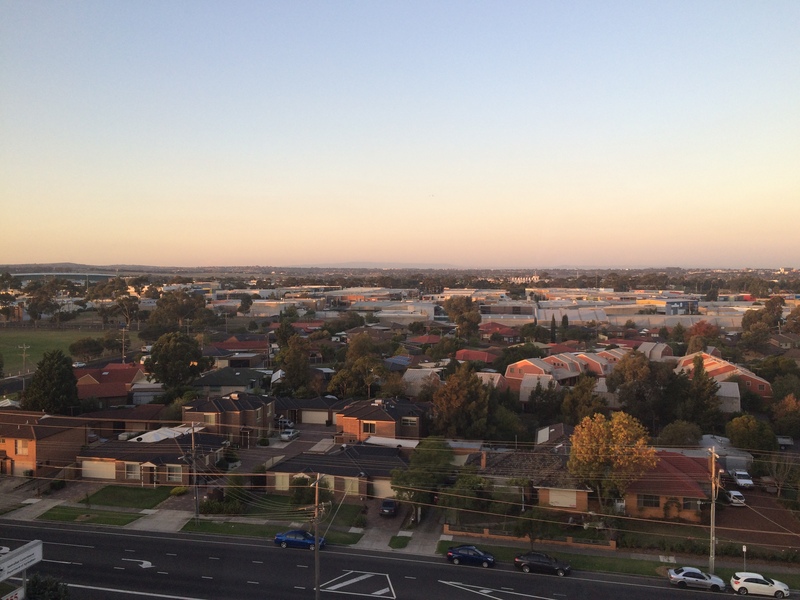 The view from my 8th-floor hotel room in Melbourne, as dusk begins to fall. Melbourne sits serenely in my heart. It is a city I could live in, though that’s not on the cards for now, or perhaps ever. I’m content visiting when opportunity allows. I’m here this time to record my books as audio publications with Bolinda Audio, an experience I’ve loved. “Meeting” my interviewees again, “hearing” their voices (albeit it “through” me) and wrapping myself once more in stories that first hijacked my heart years ago, has been something magical. As ever, I feel honoured that I was entrusted with these powerful personal stories, and reading them, I’m reminded with excitement how one would make a wonderful feature film, or basis for a novel, and another could be an entire memoir. It’s inspired me to re-establish contact with my open-hearted subjects, to find out what they’re up to now, learn how their lives has evolved since the moment snap-frozen within the pages of my book. It’s also illuminating to revisit the yarns from my new perspective, since the spiritual path I’ve travelled since writing them has led me to some new perspectives. For instance, I now understand that love, forgiveness and compassion are our primary functions in life, and that our consciousness creates our reality through our beliefs. However, this doesn’t cast doubt on my subjects’ stories, on the contrary, now I see them as more profound than ever. Each experience fits, somehow, perfectly into the puzzle of each interviewee’s multi-dimensional self. All set to begin recording the audio version of Spirit Sisters, my first book. And I do believe we are multidimensional beings, and that there are some events that befall us on Earth that we will struggle to understand from our limited perspectives, or perhaps never understand at all (while we are still in our bodies). That’s part of the reason I love reading about near-death experiences (NDEs). The people who experience an NDE almost always say that the secrets of the universe were revealed to them. In a fraction of a second (in our terms) they understood it all … yet that knowledge was not theirs to keep for the journey “back”. As you can see, I still love a good mystery. I still love the thrill of a spine-tingling story. These days, though, the tingles aren’t usually of the scary variety. Which brings me back to Melbourne, and part of the reason it’s so special for me. Last August, I flew to Melbourne to attend a two-day lecture by US author Wayne Dyer, which I found brilliant and life-changing (goosebumps aplenty!) A week later, I was stunned to learn that the “father of motivation and inspiration” had passed away—at his Maui home, of a heart attack—exactly one week after he’d poured out his final lessons to us. He was 75. 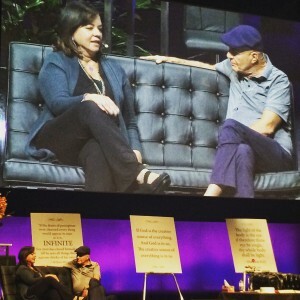 Seeing the late Wayne Dyer in conversation with Anita Moorjani in Melbourne last August. For I did get a sense that Wayne was “pouring out” his final teachings, and we, the audience, were drinking them up thirstily. I felt very, very lucky to be there—I couldn’t work out why that feeling was so strong in me, until Wayne passed away and then I understood. I’m forever grateful to Wayne and his teachings, which have helped steer me on this spiritual course, which is ultimately back to my heart. To me, following a spiritual path is about finding your way back to yourself, to your own connection with the divine, and taking flight into your life from that perch. Now I’m back in Melbourne, helping my books soar again, this time in a new way. It’s a new lease of life for the series—2009’s Spirit Sisters, 2011’s Where Spirits Dwell and 2014’s Love Never Dies—and I’m thrilled that they’re going to find new audiences. As I wrote at the end of Love Never Dies, “the path winds, and I follow.” Let’s see where it takes me next. I paused briefly, surprised, before continuing on my walk, but then, just metres down the road, I had to turn around and take another look. My dog, Remy, looked at me as if to say, ‘Why are you going the wrong way?’ By the time I’d returned to the mirror, it had reeled in another passer-by. I was going to take a picture to try to record the words but I wouldn’t have been able to make them out with the light reflecting on the glass. Some of the words had also been wiped away, but one part described how the writer wouldn’t have mobile access wherever she was going, so anyone wanting to get in touch would have to take up old-fashioned pen and paper. “God forbid,” she wrote, cheekily. On the top right-hand corner of the mirror, there was a note written on white paper. It said “free to good home,” but asked that whoever claimed the mirror see “the family” first as the mirror had much sentimental value and they wanted to make sure it went to the right place, with the right people. In all of my years as a connoisseur of kerbside treasures, I’d never seen such a thing! For the better part of an hour, as I trudged the well-worn route home, I thought about the mirror. Who was the author? How long ago had she written her lipstick letter? Why did she write it on a mirror, instead of paper? And where did she leave it for her parents to find? I was tempted to knock on their door just to find out. The discovery made me think of how stories surround us, how everything and everyone has a story to tell, from A-list celebrities to lovelorn teenagers living in redbrick houses in a sleepy, leafy suburb. Over the years, I’ve written about both kinds of folks, and everyone in between, and am always honoured to be entrusted with their stories … In my new book, coming in July, I explore the idea of stories as powerful healing tools. In the face of heart-cracking loss, the story of a loved one reaching out—in myriad magical and personal ways—can become a steadying, grounding force, whether the experience is shared with others or simply kept private and close. I am fortunate enough that many wonderful subjects shared their moving stories with me for the book I’m excited to see published this year. 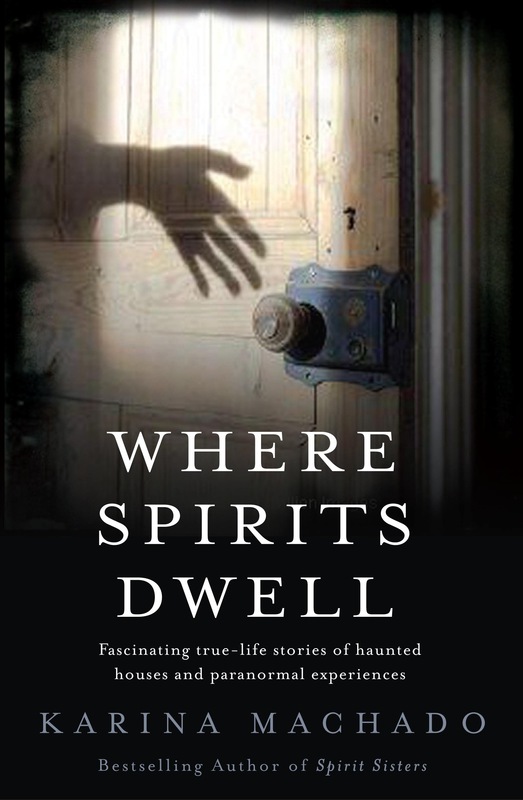 It will be the last in the non-fiction paranormal/spiritual trilogy that began with Spirit Sisters in 2009, so now, being a storyteller, of course my thoughts are wandering in the direction of finding new stories to tell. It’s already inside me, I know, it’s just a matter of uncovering it. Lucky, then, that there is inspiration everywhere. “Dear mum and dad, I am going away in search of love …” If I follow her, I wonder, where might she take me? 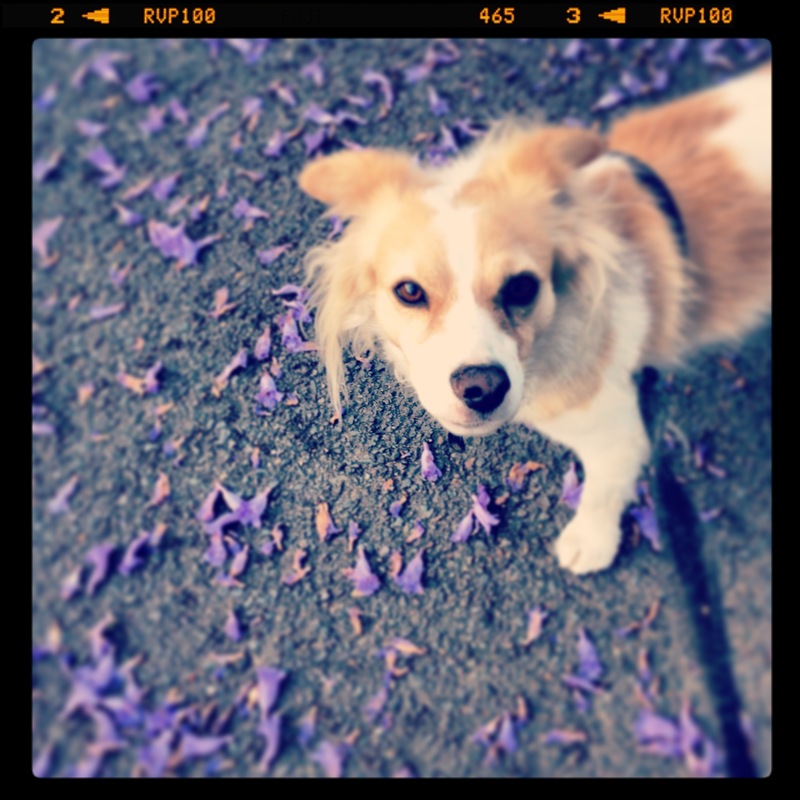 My walking buddy, our four-year-old rescue dog, Remy. Hello again, and welcome to my revamped website! 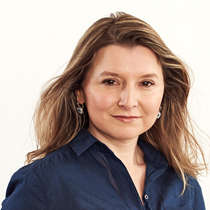 For this wonderful transformation, I must thank the lovely and multi-talented Allison Langton, from Big Print Little. Allison did an amazing job of somehow intuiting exactly what I wanted for my website, and making it come true. I can’t thank her enough. 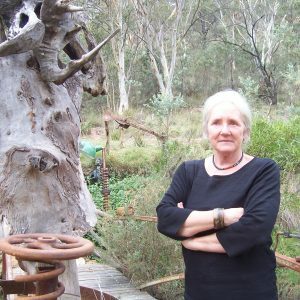 Speaking of Allison, though she’s based in Melbourne, I had the good fortune of meeting her at one of three library talks I gave there this past weekend. Allison dropped by Mill Park, but I also spoke about Spirit Sisters and Where Spirits Dwell at Eltham and Watsonia libraries (both attended by my supportive friend and fellow author, Wendy Dunn). Thanks to my kind friend Suzanne, Queen of Non-Procrastination and marketing and media coordinator at Yarra Plenty Regional Library, for organising this, for driving me around and for the endless laughs … it was so much fun! 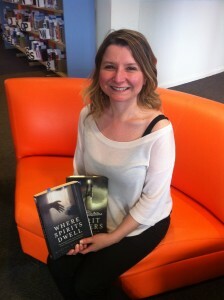 Thanks to Lyn, the lovely librarian at Watsonia for promoting my appearance, and for the beautiful gifts! 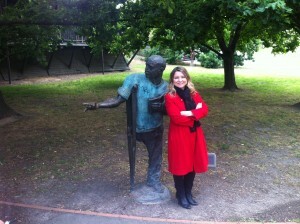 Here I am alongside a bronze statue of I Can Jump Puddles author Alan Marshall, at Eltham Library. It had been a while since I’d gotten out “in the field,” so to speak, to discuss my work and meet readers. I’d forgotten how much I enjoy this. One of my favourite aspects of this is how me talking about my interviewees’ experiences often opens up the floor for people in the audience to reveal their own stories. I love sitting back, listening, as others unspool a personal story that, up until then, they have usually kept close to their hearts. It’s a privilege to know they feel comfortable enough in that forum to share it with us. 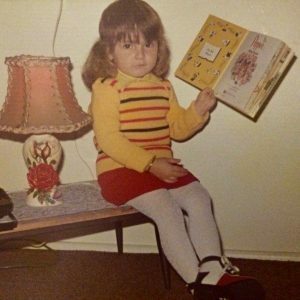 On the topic of sharing stories, it’s time for me to go, as it’s Halloween eve and I have to prepare to tell a yarn of my own tomorrow night, at a live storytelling event at Cronulla’s The Brass Monkey. Despite the date, there is no spooky theme to the evening, but when I noticed that it was Oct. 31, it seemed I was fated to take the stage (gulp). Wish me luck! The cover of my latest book. Apologies. It has been seven months since my last post … that sounds somewhat confessional, and in a sense, it is. I hate that I’ve neglected my website, and would like to put an end to that, starting now. It’s a wintery Sunday night in Sydney on a long weekend, the perfect time to read one of my stories, and I’ll be opening one of my books as soon as I’m done writing this post. I have the glass of cab-sav in hand, the only thing I’m missing is the open fireplace … since moving out of our home of 11 years last November (probably the biggest culprit for my lack of posts) we have had to make do with an electric fireplace. Yes, we are no longer living in the sweet little 1924 Californian Bungalow I’ve described in both my books, where my husband saw the shades of a mournful lady in a red nightgown and a sepia-toned little boy. A lovely new family is filling its spaces now, and I wish them no end of love and happiness. Much has happened in the last seven months, especially one major development, which I’ll go into in a moment. 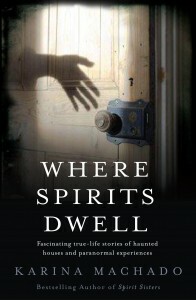 I’m always delighted when feedback arrives from fans of WHERE SPIRITS DWELL. 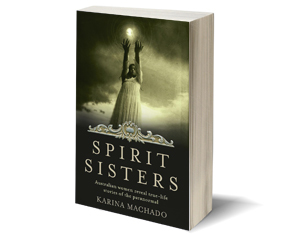 I’m very proud of the book and thrilled that it continues to draw in new readers, many of whom were not familiar with my first book, SPIRIT SISTERS. I’m heartened that Hachette, the publishers of both of those titles, believes enough in WHERE SPIRITS DWELL to enter it into several Australian literary awards. Regardless of the outcome, it’s encouraging, and I so appreciate their support. Back to what I’ve been up to for the last half a year, I’ve spoken at Cronulla library (you can watch it here) and was interviewed by the NSW Writers’ Centre (see it here). It was so rewarding to do both. Thanks to everyone involved in making those things happen. In November, I’ll be speaking at the Sutherland Shire Writers’ Festival, which is exciting. And now to the news. I am starting work on a third book, what I’m envisaging as the last in the SPIRIT SISTERS series. This one is going to focus on the very personal and moving experiences of sensing the spirit of a loved one. Each of my last books has featured a chapter each dedicated to this phenomena, which I find endlessly fascinating and touching—and hopeful. For my next book, I’m concentrating on these experiences. Have you ever sensed the spirit of a late loved one around you? If you’d like to share your story, please drop me a line and tell me about it. And now, time to lose myself, once more, in one of my interviewees’ astonishing experiences. I’ll shut down the laptop and pick up a book. The weather calls for it. Will I fish out one of my favourites from WHERE SPIRITS DWELL, or delve back into my beloved SPIRIT SISTERS? As I do, I’ll be thinking about a quote by Australian director James Wan, who helmed the chilling haunted house homage Insidious. In an interview last year, he sagely said: “We all live in a space that is our sanctuary, our fortress. 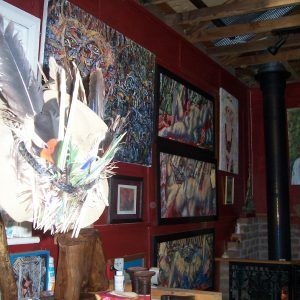 The concept that you cannot control it is scary.” I’ve spoken to many people who’d be nodding their heads to that, their eyes turned inwards in remembrance of sanctuaries undone.